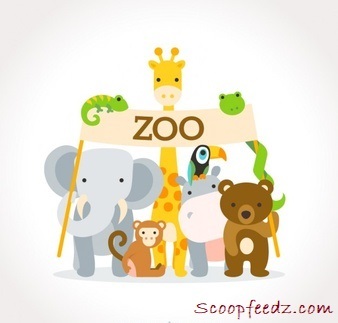 Essay on Zoo, here we discussed in detail about zoo and its importance for wildlife. Animal are the among the most wonderful creations of God. Many animals can live with us as pets such as cat, dog etc. Wild animal and birds are generally seen in forests. A zoo is a home to many animals and birds living together in a perfect harmony. Conducive environment is needed for wild animals, so naturalistic conditions are created in a zoo to make the animals comfortable and survive for long. 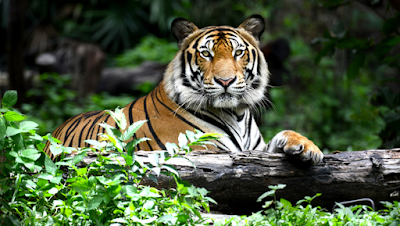 As of now India has 64 large zoos and 194 medium-sized zoos. A student can learns a lot by visiting zoo, about the various species of animals and birds that inhabit nature. A central zoo authority of India, who is responsible for managing Wild life sanctuaries, should take initiative to develop more and more zoo to preserve and protect the wild animals from illegal poaching and trading. Last Sunday we had nothing to do. There was no home-work for us and no busy schedule for father. We asked him to take us to the zoo, he agreed. Our family members, my mother, father, sister and I, we all were excited to see zoo, a closer look at wild life, and that will be amazing experience for all of us. But we thought of inviting few more friends. ‘The more, the merrier’, said Ravi and five more members joined us. We walked in groups. Our parents formed in one group, the boys another and the girls the third. When we entered the gate it was difficult to decide which way to go first. Gopal wanted to see the tigers and lion first. But father said that it was more interesting to see them being fed. They were generally fed them in the afternoon. The girls wanted to see the parrot house and the bird’s corner first. The boys wanted to see monkeys. The boys won and we began with the monkey house. There were different kinds of monkeys, big, small, brown and black, quiet and noisy. They were climbing up and down their cage and making funny noises. A black monkey was the noisiest. The boys incited him and this made him very angry. He picked up a handful of dust and threw it at them. This made us all laugh. The next moved to the stag corner, there were lot of them, some with branched horns, and some without any. We offered them twigs. They came near us without fear. But these quiet creatures didn’t interest us much. Next we moved to the snake corner. The smaller snakes were coiled in a corner, the bigger ones seemed to be fat asleep. They were interesting creatures. The went to see Big rhinoceros(rhino), it cover itself with mud, a little girl threw stone at it, the rhino makes some strange noises, got up and went into the pound. Then we had seen beautiful white tiger, the stripped and spotted one, the lion and the lioness playing with their cubs, walking up and down in their cages. Their keepers giving them pieces of meat, they ate them greedily. Then our next move was to see the elephants the largest mammals, some elephants with tusks and few are tuskless. We also enjoyed a ride on an elephant. The sun was over our head. It was getting very hot, we were thirsty. Ravi had a headache, and then we decided to take rest for some time. After taking rest we had some refreshment. We were too tired to keep moving. We decided to see the rest of animals sometimes later. Overall it was a thrilling experience for all of us.